VS Ventures Ltd (VS Ventures) is a subsidiary of Venture Stream Ltd, a leading national ecommerce agency based in Newcastle-upon-Tyne. With a team that has amassed over 50 years' experience creating and growing digital and ecommerce ventures, we're passionate about creating our own tools, software and services which push the boundaries of digital marketing and ecommerce. Our ventures come to life in various ways. Many are the result of extensive time in research and development e.g., hyperlocal search site Ask The Pigeon, others are forged in partnership with clients or other joint venture partners e.g., Snaphut born from our partnership with Alphagraphics – some are spearheaded by individual staff members with the passion for a good idea e.g., local online marketplace, That’s Champion Pet. As expert digital marketers we know what it takes to bring a product or service to market and build an audience for it. 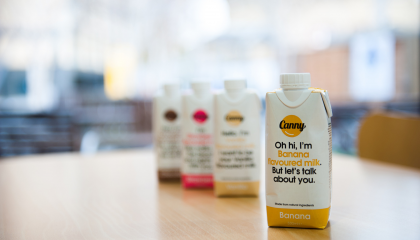 With an agile approach to development and commercialisation and an appreciation of the concept of MVP – minimum viable product - we have a knack for how to get a concept quickly to market. We're alert to what works and what doesn't work and are flexible to changing course, ultimately driving towards building a venture that can grow to be of scale, impact and value. For the highest potential venture opportunities, we will invest further with our own cash, potentially involving co-investors from our network of partners. At VS Ventures, we not only have big ideas for changing the digital and ecommerce world, we also know how to lay the foundations of their success. 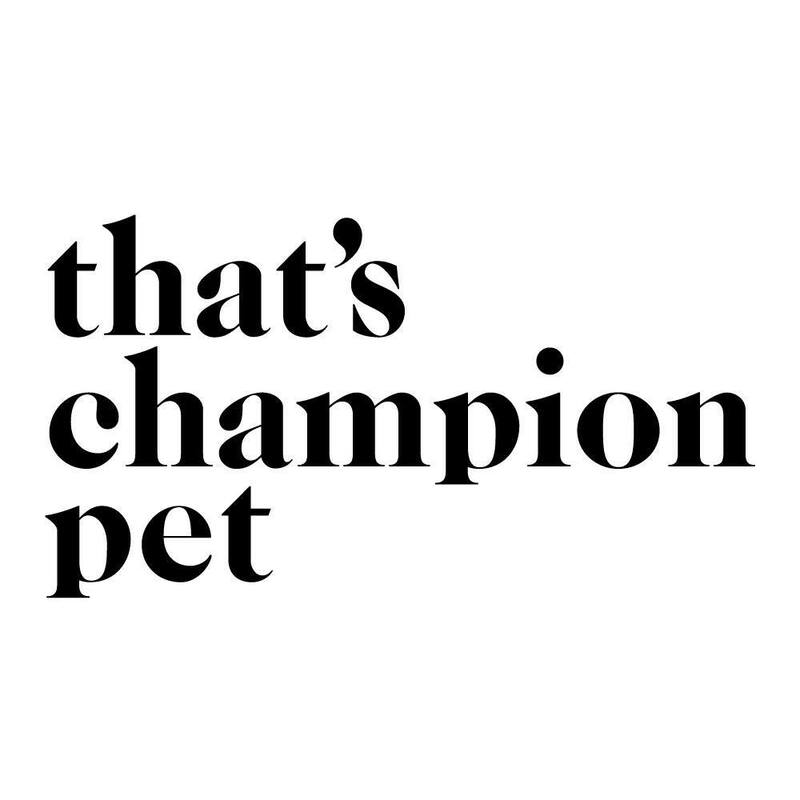 That’s Champion Pet sets out to showcase everything uniquely wonderful about the North. By curating a selection of the finest North East products from food and drink to clothing and accessories, the ambition is to collaborate and work with the region’s best suppliers, artists and designers. Originally inspired by a hearty Northern upbringing in a place where you’re everyone’s “love”; “pet” and “hinny” and where a praise in its highest form comes with someone saying “that’s champion”. Northern culture is humble, down to earth and wholesome. That’s why, That’s Champion Pet. Not only will this be a one-stop-shop for the best-of-the-best North East products but it’s main ethos is to help local businesses flourish online with the support of Venture Stream’s expertise and the platform to publish and promote with That’s Champion Pet. We love data. We love geographic data even more. So we decided to share our love of data with anyone who may be interested. On our Ask The Pigeon website you can drill down on a number of different data views on each UK post code: Physical, Political, People, Local, Transport and Crime. We plan to launch new views as interest grows and we are always open to suggestions about what businesses and consumers would like to see. Commercial geocoding and linked ecommerce services are also available from our parent company Venture Stream. Shopulous is a service which helps retailers discover trends and monitor competitor email marketing trends in the UK retail market, all in one smart and beautiful space. Whether you’re on your computer or smartphone, Shopulous is a smart companion for keeping abreast of online retailing and marketing trends. VS Ventures has built Shopulous based on a responsive user experience and leverages a proprietary database of over 500 leading UK retailers with over 13 months of email tracking data. 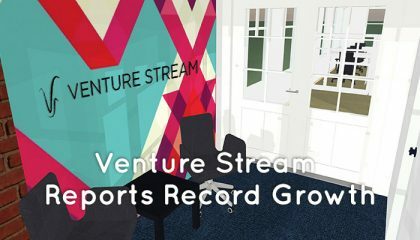 Venture Stream Aerial was set up to offer an increasing level of cutting edge innovation in marketing to our clients and to the wider region. With state of the art equipment and expert creative vision and technical expertise, our aerial services span from simple videography to full 3D projections, terrain mapping, structural surveying and more. Fully approved and licensed by the UK's Civil Aviation Authority, Venture Stream Aerial is one of the North East's most creative, staffed and skilled operators of the world's most popular aerial video and photography platforms. One of strongest features of Magento is its extensible architecture and with a thriving market for Magento Extensions extending functionality is often cheap and simple. Observer extensions that watch for invoices being created and force custom order and status types to be used. VS Ventures’ Hubster omnichannel software helps retail clients integrate complex ecommerce systems. Including shopping sites; accounting systems; marketing systems; delivery service providers; and fulfilment systems including 3rd party warehouse, click and collect, ship from store, and external marketplaces. Hubster has been a multi-year research and development initiative with a growing base of active customers using our innovative ecommerce technology. Hubster has been used to integrate systems ranging from open source leader Magento to proprietary ecommerce systems. The origins of Hubster focused on the goal of creating a simple system for connecting complex systems through arms-length, secure interfaces and APIs. The R&D effort focussed on whether it is possible to abstract the interfaces to allow data matching and business logic to be applied independently. This would allow complex systems to be connected with only small changes to the specific business logic. With an active customer base benefiting from Hubster technology, we are now investing further research and development into supporting wider data sets and ecommerce systems. VS Ventures is developing Snaphut, personalised print product ecommerce ventures, in partnership with Alphagraphics, a leading UK printer and personalised marketing service provider. Initially, the service will focus on a service enabling consumers to create their own calendars, cards and prints customised with their own photographs. VS Ventures is developing the front-end consumer website experience working with Alphagraphics to integrate with their web-to-print systems. Plans for future developments include integrating and expanding a library of creative themes working with artists and designers and innovative use of user-generated content from social media services. The Snaphut ventures build on VS Ventures’ previous R&D investments in personalised product ecommerce builders and related systems. Harcourt London Watches design affordable and classic timepieces with a British spirit. Harcourt London was created as a tribute to the late father of Jack Clarke, a sports agent and ex-racing driver, with his half brother Daniel Bailey, a sports agent, and their friend Matt Spelman, a City trader. The trio wanted to bring to life a contemporary yet classic timepiece. funding the first prototype with support from family and friends. With an air of entrepreneurship and expertise in ecommerce, VS Ventures are helping Harcourt London grow with a newly designed Shopify site, full marketing strategy from email to content marketing, and as an ecommerce partner. VS Ventures works in close partnership with investors and commercial partners in creating and growing our ventures. If you’d like to partner with us, we’d love to hear from you. Northstar is a venture capital company dedicated to building successful high growth businesses across the North East of England. 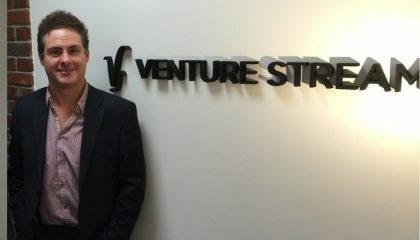 At its creation, Venture Stream received an investment from Northstar's Proof of Concept Fund and advises portfolio companies. AlphaGraphics UK is an industry leader in digital print and personalised marketing. In 2016, Alphagraphics made a minority investment in Venture Stream as part of a strategy to develop joint ventures one of which is underway in the form of the Snaphut ecommerce venture. Spark Response is one of the UK's largest and most accredited outsourced contact centre and fulfilment providers. Venture Stream work alongside Spark Response in providing integrated ecommerce solutions to clients to cover the full journey from web to warehouse and beyond. Read about the adventures of VS Ventures below. If you're interested in learning more about our ventures or getting in touch to potentially partner with us on a new one, please give us a call, send us an email, or drop by to have a chat.